Logistics Plus® is a leading provider of warehousing, inventory management, and fulfillment solutions. Take 1 minute to request a warehousing & fulfillment quote from us! Use this form for a warehousing & fulfillment quote. 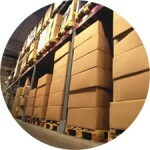 Where do you need warehousing?